In an earlier TV interview on Wednesday he said he had received “very unfair” treatment from the party he joined in 1959 and in which he had fought for decades against apartheid white-minority rule. But senior party official Jesse Duarte said after the resignation that “we are not celebrating”. Police said three unidentified people had been arrested in investigations into “Vrede Farm” -- allegations that millions of dollars of public money meant for poor dairy farmers were syphoned off by the Guptas. 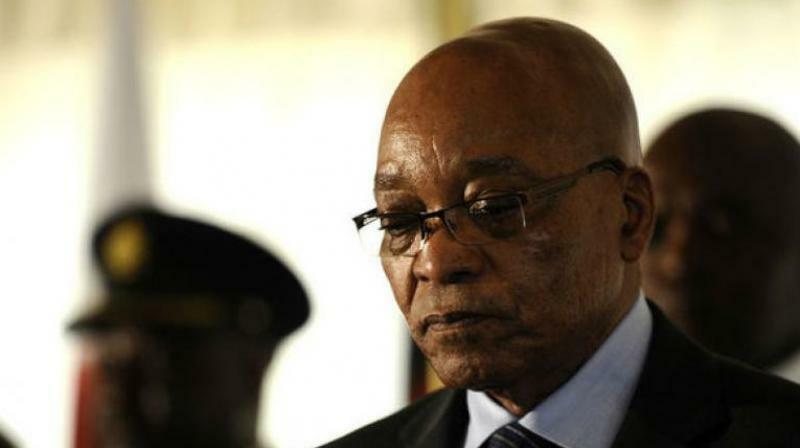 The political wrangling in recent weeks plunged South Africa -- the continent’s most developed economy -- into confusion over who was running the country, with last Thursday’s annual State of the Nation address cancelled at the last-minute. Zuma’s hold over the ANC was shaken in December when his chosen successor -- his former wife Nkosazana Dlamini-Zuma -- narrowly lost to Ramaphosa in a vote for the new party leader.